inspired by my family business rooted in the tradition of lacquerware since 1902 in Tokyo, Japan. A single flower can create a cheerful atmosphere in the space as well as making calm and cheering feeling to us. Our shop's concept is the same. With our products, we want you to satisfy the mind and make everyday life happy and excited. Even if it's a single piece or tiny little item, we hope that our products filled with the delicate and subtle craftsmanship create such a pure space that once you welcome, you are wrapped by little joy and delight. 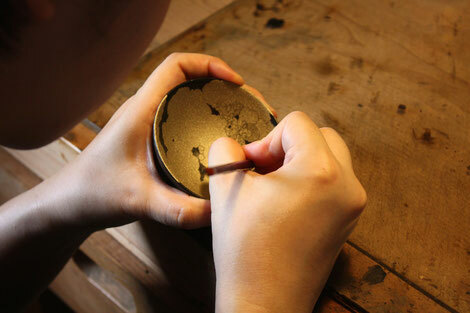 tsugu offers mainly Japanese lacquerware carefully selected from various craftsmen across Japan. Every item at tsugu is individually hand crafted in the small studio by Japanese craftsman or artist. Each item is full of passion, precision and elaborated craftsmanship. It's really humanely-oriented work. Also each item made of natural raw materials take on a completely different character. Pick only yours or particular item for your special persons. Not thinking of things as just practical goods, we'd like to appreciate various elements hidden within them. Of course the functionality is important, but be attached to things that the existence itself creates value or works on your mind separately from usability. The pieces at tsugu lead you to spiritual wealth in your life. Handcrafted item changes in its colours and textures with regular usage and will likely get some scratches as it ages. As time goes by, these subtle transitions themselves are a distinctive mark of its natural raw materials, and your appreciation for such beauty may be acquired. Nurture your item, you may become even more attached to the nuanced flavour. Where does the name "tsugu" come from ? “tsugu” 「継ぐ」 means “to inherit” in the Japanese language. Sadly, many things in this world are left behind when they are broken, out of style, or when newer version of the product is launched. As a retailer we focus on the selection of our items to be inherited and passed down for generations to come in this throwaway society. We believe in cherishing something good we can use for a long time, repair if it is broken and develop a special attachment to over time. Lacquerware is an embodiment of this idea. The art of lacquerware itself has about 9,000 years of history since ancient times in Japan –considered the oldest tableware in Japan. 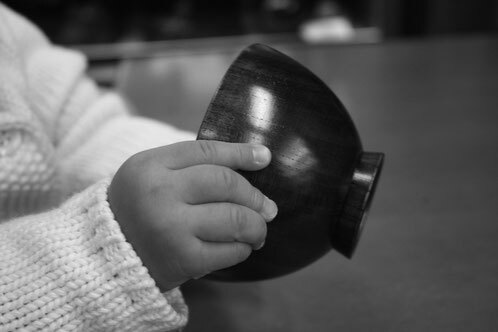 With the progress of time, even as the usage and design of lacquerware continue to evolve, we strive to bring you wonderful things in life which you may cherish and hand over to your children and generations beyond.